With over 3 million members and tens of thousands joining each week, GoConqr offers a digital space to connect with a generation of young, ambitious, engaged and tech-savvy users. Our users have a big future. You can be part of it. Connect your brand with a user base that's informed, engaged, global, and growing. GoConqr is on a mission to democratise learning. Our platform is designed to let users seamlessly integrate learning into their busy lifestyles, no matter how varied they may be. We do this by providing users with a free, cloud-based platform that’s complemented by a suite of free mobile apps for a more flexible and personalised learning experience. Where our users go, their learning materials go too. Thanks to the flexibility it offers, GoConqr has successfully accumulated an active user base of learners and educators that’s in excess of 2.8 million people across 170 countries. Our powerful range of features also helps ensure that our users engage with GoConqr on a daily basis to study, collaborate and share resources or ideas with one another. 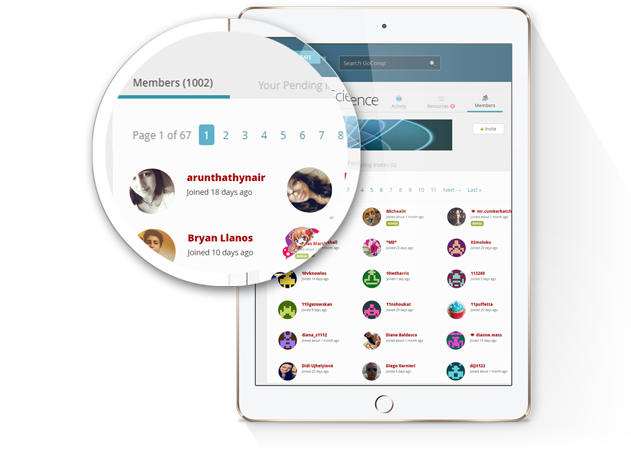 Our users are ambitious, social, and technologically literate people with a typical age range of 15 to 24. Regardless of location, they share a common drive for self-improvement and a willingness to adapt to and engage with new ideas, technologies and activities. Where Would You Like To Reach?